A few days ago, the Internet was aflurry with the rumors that everyone’s favorite guest-verser Andre 3000 was getting ready to play Jimi Hendrix in an upcoming biopic about the legendary guitarist. The flick, called All Is By My Side, is supposedly in pre-production with John Ridley at the helm, but yesterday, the Hendrixes themselves made it explicitly clear that the crew is going to have an awfully difficult time doing a Jimi film with no Jimi songs (via Blabbermouth). 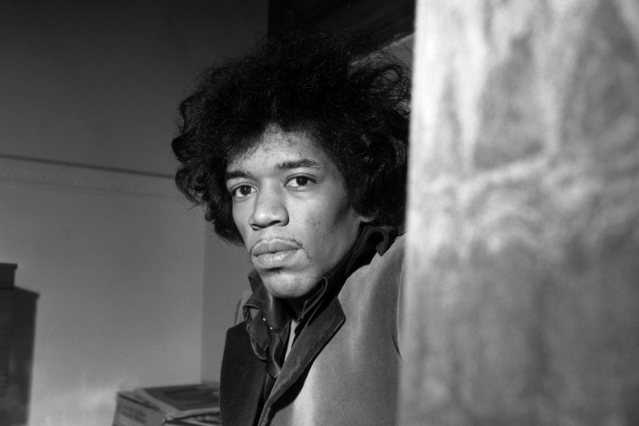 In a statement, Experience Hendrix LLC, the legacy-protecting company founded by Jimi’s father Al and now run by his sister Janie, said that it “has made it known many times in the past that no such film, were it to include original music or copyrights created by Jimi Hendrix, can be undertaken without its full participation,” which, it seems, Andre and Ridley’s film doesn’t have. We’re just glad this has nothing to do with the lack of Jimi on SPIN’s 100 Greatest Guitarists list. The statement points out that the Estate “have not ruled out a ‘biopic’ in the future,” but implies that since Experience hasn’t been involved “from the inception” of this project, it won’t be seeing the rights to any of Hendrix’s music, which could pose a problem for filmmakers. Then again, as the Wall Street Journal points out, Showtime pulled off the tricky feat back in 2000 with its Hendrix TV movie, which was barred from using original compositions and was only able to use his covers, so Andre still might be able to DoHisThing after all. If production continues without Experience Hendrix, and filming begins later this year as reports before the Hendrixes’ statement said it would, filmmakers might be able to solicit help from Cee-Lo Green, who bought a bunch of Hendrix’s catalog rights back in 2007 and was speculated to have been planning to use them in a project with OutKast (foreshadowing much? ), in addition to releasing the material as-is on his label (neither of which, it seems, has happened yet). If the project manages to work out a deal with the Hendrixes, however, it might have access to what Janie has estimated at about 10 years’ worth of newly discovered, as-yet-unreleased material. The conversation falls coincidentally during what would have been the late guitarist’s 70th birthday year.